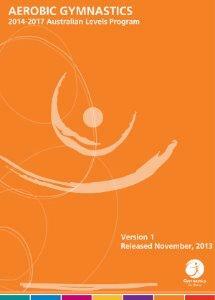 The kit includes; Teachers Guide, Unit and Lesson Plans, Activity Cards, an instructional DVD and a music CD. Technical Members have complimentary access to this online manual with their membership, log into Gymnastics Online from the homepage. Do your students have a display coming up? Do you want fresh ideas for your PE class? We have a number of 2016 Resources available! GAMH6050 To have a taste of this program, we are offering Schools the resource (which includes a manual, CD and DVD) for only the cost of postage – $15 (normally sells at $60). NB. The 2016 Release routines are not eligible to be competed in the National AeroSchools competition. 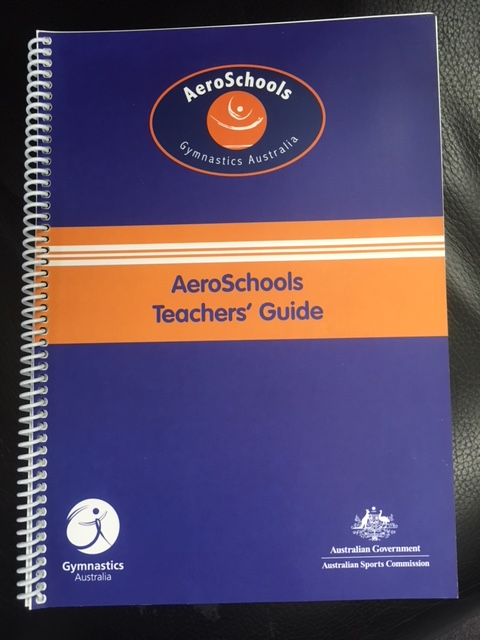 AeroSchools Teachers' Guide is an exciting four week taste of the sport of aerobics. This resource also includes the links to various components of the Australian Health and Physical Education Curriculum for Year 7 - 10. The AeroKid Manual has been designed to increase participation levels of students aged 8-18 years in aerobic and fitness sessions. It has been written for teachers, coaches, aerobic and fitness instructors wanting to introduce basic aerobic movement patterns via games and fitness activities into their sessions. It provides exciting ideas for conducting recreational aerobic sessions including an easy to follow pathway for students wishing to compete in sport aerobic events.